KANSAS CITY, MO--(Marketwired - Oct 10, 2013) - Dr. Susan Fairchild, Dean of the School of Nursing in the Grantham University's College of Nursing and Allied Health, has retired. To recognize Dr. Fairchild for her accomplishments while at Grantham, she has been named Dean Emeritus of the School of Nursing. Although Dr. Fairchild has retired from her duties as dean, she will continue to teach and lend her expertise to the nursing programs at Grantham. "We cannot thank Dr. Fairchild enough for her dedication and service to both Grantham and our students," said Dr. Cheryl Hayek, Chief Academic Officer. "The passion she has for her nursing students is legendary as she always lovingly refers to them as 'her babies,' and takes the time to know each of them personally." Dr. Fairchild joined Grantham in August 2009 when she came out of retirement to develop the University's online nursing programs. Previously, she taught nursing for more than 30 years at the associate, baccalaureate and master's levels in both traditional and distance learning environments and has authored two nursing textbooks. In 2011, the School of Nursing celebrated a major milestone, the first graduate from the RN to BSN degree received her diploma. The first Master of Science Nursing degree was awarded in 2012. Grantham University's School of Nursing provides registered nurses (RNs) with the opportunity to further their education in areas of leadership, community concepts, research, and evidence-based, professional nursing practice. Currently, there are three online degree options: an RN-BSN Degree Completion Program, an RN to MSN Bridge Option, and a Master of Science in Nursing with several specialties. To learn more about Grantham's School of Nursing, please go here: http://www.grantham.edu/school-of-nursing/ or call 800-955-2527. 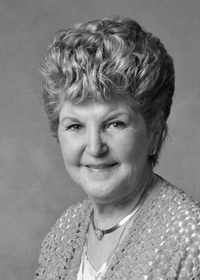 Dr. Susan Fairchild, Dean Emeritus of Grantham University's School of Nursing.